Huntington franchise owners provide tutoring to school-aged children at Huntington Learning Center® facilities. Is the Huntington franchise a great business to own? What should those considering this investment know about Huntington and its franchise opportunity? See what others are saying and share your opinions below. (UnhappyFranchisee.Com) Huntington franchise owners provide educational tutoring services consist of tutoring in reading, phonics, study skills, mathematics, and related areas and 1-1 instruction in junior high school, high school, and college math and science subjects. After the first year, they also offer 1-1 instruction for state and standardized entrance examinations, principally the SAT and ACT. 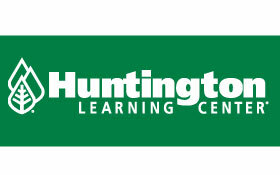 Huntington Learning Center was founded in 1977 and began franchising in 1985. Today we operate nearly 300 centers in 38 states from coast to coast. We are recognized as a pioneer and leader in the franchise tutoring industry, providing quality instruction to tens of thousands of students through our national network of franchised and company-owned tutoring centers. Is a Huntington franchise a great business to own? Are Huntington franchisees successful… and happy? What are the potential pros and cons of owning a Huntington franchise? We invite those familiar with the Huntington franchise program (franchisees, instructors, franchise or corporate employees, parents, educators) to share their opinions – positive and negative – with a comment below. What benefits can those investing in a Huntington franchise expect? Here’s what the company claims. The gross revenue at the average franchised Huntington Learning Center is greater than the average gross revenue of all other tutoring franchises that provide financial information in their Franchise Disclosure Document. As a Huntington franchisee you will never feel like you are alone. We provide you with extensive ongoing support from your initial journey to become a Huntington franchisee, through the life of your business. You are buying into a franchise with a proven system of support. At Huntington, we are proud to have a team of extremely seasoned franchising veterans at the helm. A full-time Marketing team provides you with proven marketing strategies and guidance. Advanced tools and systems help you easily manage your local marketing efforts. Marketing analysis and planning are provided on national, regional, and local levels. National Call Center: a frontline of professionals well-trained to take the initial inquiries for your center, and drive clients into your center. Coaching Services: a team of seasoned Huntington veterans ready to prepare you to close sales and get students to enroll. Franchise Business Consultants: a team of experienced Huntington personnel who are dedicated to providing you with ongoing operational guidance and support for your center. Do you know of other benefits of owning a Huntington franchise? Share a comment below. Do you know of potential disadvantages of the Huntington franchise program? Please share below. Item 20 of the 2015 Huntington Franchise Disclosure Document (FDD) reveals a potential red flag regarding the Huntington franchise opportunity in terms of franchisee turnover. In the years 2012, 2013 and 2014, there were a total of 307 franchise agreements. More than 1/4 (28.9%) of those Huntington franchise agreements were either terminated, or ended in closure or transfer to a new franchise owner. What are the disadvantages of the Huntington franchise? Why does it appear that a high percentage of Huntington franchisees exit the system before completing the term of their franchise agreements? Data Sources for Huntington and other tutoring franchises are the 2015 Franchise Disclosure Documents, or FDDS, of the respective companies. ARE YOU FAMILIAR WITH HUNTINGTON AND THE HUNTINGTON FRANCHISE OPPORTUNITY? SHARE A COMMENT BELOW. ← Is the EYE LEVEL LEARNING Franchise a Great Business to Own? I’m not sure how relevant this is, Sean…. You know my ears are always to the ground when it comes to our industry. Well, more than once I’ve heard that The “Huntington’s,” especially Mr. Huntington, is (was) a no-compromise guy. 100%. His way or the hi-way…and, a guy that’s pretty darn crabby. If that’s the case, there are probably some unhappy zees. Who the heck wants or needs a freaking crabby franchisor? Current and/or former franchisees who weigh in here will probably say the same. Thank you for the turnover comparisons. I noticed the 89 of 307 doesn’t = the numbers below. Either there is a typo for one of the numbers or the sum should be 39 of 37 which changes the turnover % from 28.9% to 12.7% for Huntington. Will there be an update of the education franchises for 2018? I was wondering if any of them improved. I owned this franchise for 6 years and it was the worst 6 years of my professional career. Why? *The amount of work required to run this business is staggering, and I’ve owned many businesses. *The Huntington’s are painfully greedy and do money grabs whenever they can. *If you lose a key person, it’s a humongous setback that impacts the business more than it should. *Only the top 10% of franchisees make good money. The rest pretty much break even or lose money. *Their system is convoluted and not intuitive in any way. i.e. the program used to run the business hasn’t been truly upgraded in over 5-7 years so we waste a tremendous amount of time each day. Overall, you can make much more money with much less work by helping kids another way. Stay far away from Huntington.